Police in China have arrested 11 people and seized more than 50,000 bottles of fake wine bottled as Australia’s Penfolds and China’s Changyu in a crackdown in central Henan province near Beijing. The raids were carried out by police acting on a tip off from an authorised distributor for Penfolds, the flagship brand from Australia’s wine giant Treasury Wine Estates, according to local media reports. 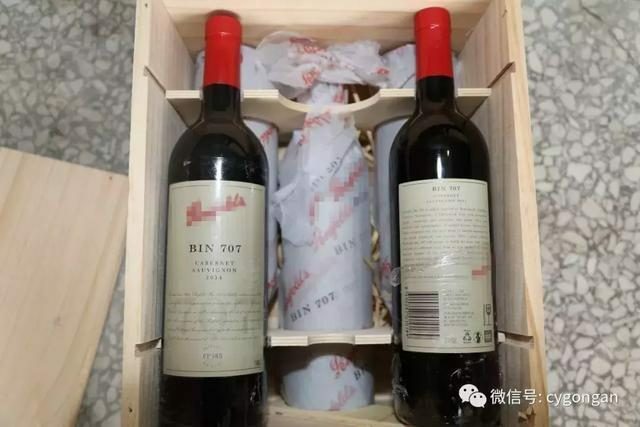 According to the police, the fake wines are produced in Shangqiu, a city in Henan, and sold to 17 different provinces across China including Henan, Fujian, Guangzhou, Shandong, Guangxi and Hubei via WeChat, the country’s most popular messaging and social media app. The raids uncovered over RMB 7 million (US$1 million) worth of fake Penfolds and fake Changyu wines worth more than RMB 6 million (US$865,000). Other branded fake wines were also found in the raids but not specified. The total value of wines involved in this case is reported to exceed RMB 100 million (US$14.4 million) based on a preliminary assessment, according to the police. Penfolds is among China’s most well-known imported wine brands, making it one of the most faked wines within China. Changyu, being China’s oldest winery, leads China’s domestic wine sales. For the sake of correctness, it should be pointed out that Shangqiu is in Henan. Although the provinces share a border (along South Hebei), that’s very different because there is a tradition for production of counterfeit wine in Hebei, in the Northern part of the province, geographically very distinct from South Hebei and Henan. This suggests production of counterfeit wine in Henan is on the rise.